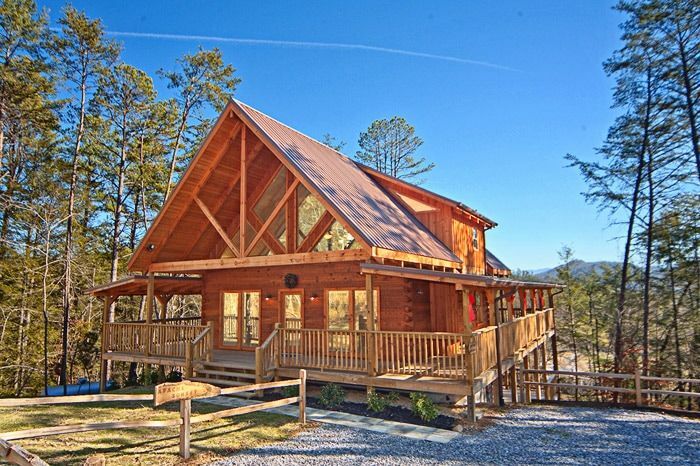 "Apache Sunset" provides guests with a premium 3-bedroom cabin near Gatlinburg that's only minutes from the areas main attractions, entertainment, shopping, and restaurants! 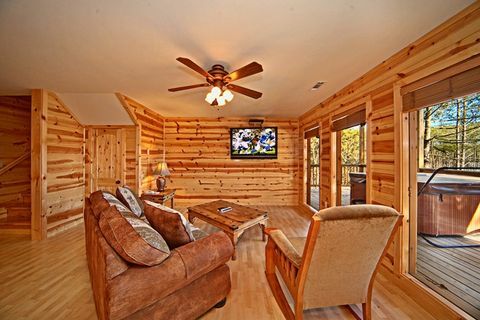 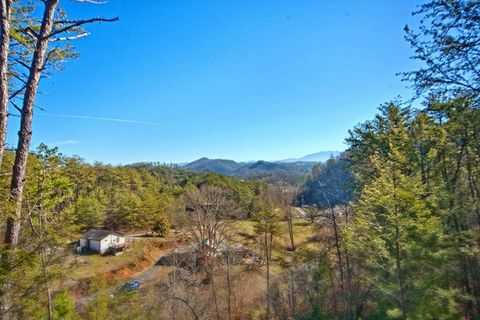 This cabin rental in Downtown Pigeon Forge affords guests the scenic beauty of the mountains, luxury amenities, and a convenient location as well! 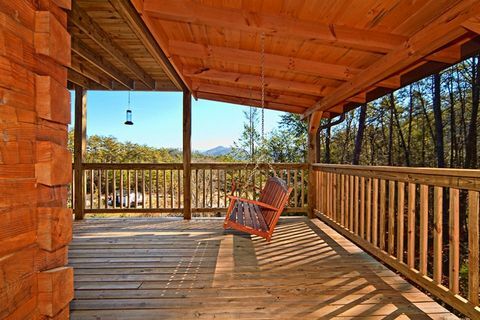 From the moment you step through its doors, "Apache Sunset" offers visitors true luxury. 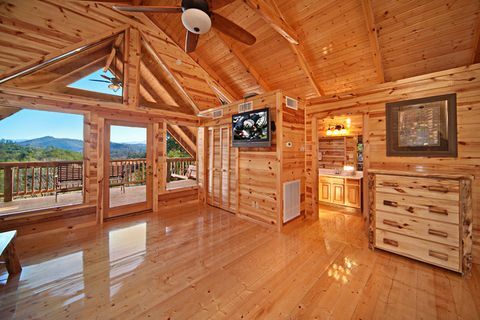 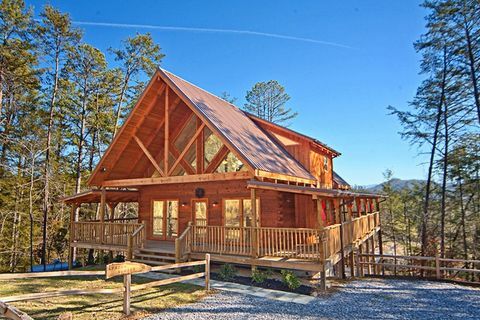 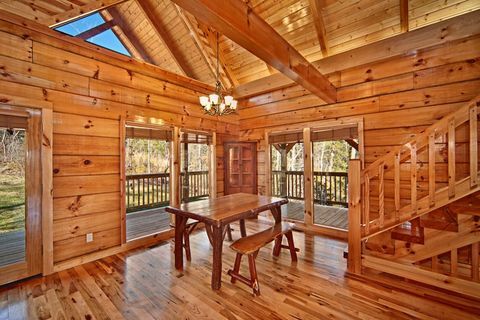 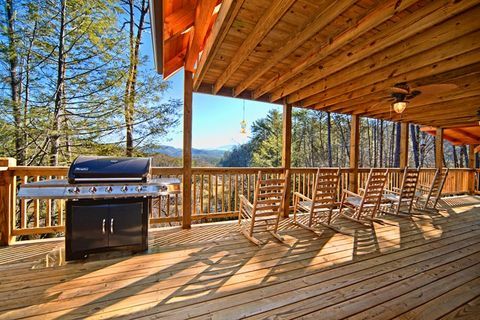 This 3-bedroom cabin in Pigeon Forge boasts warm wooden walls and hardwood floors throughout. 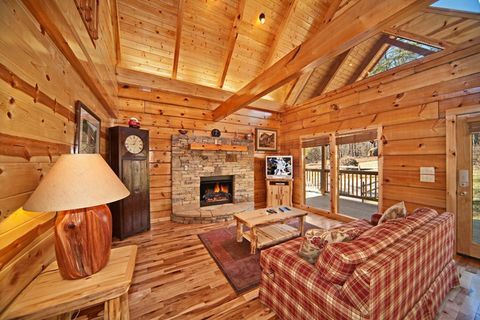 The living room's cozy couch rests in front of the seasonal gas log fireplace that’s perfect for cozy nights in your cabin. 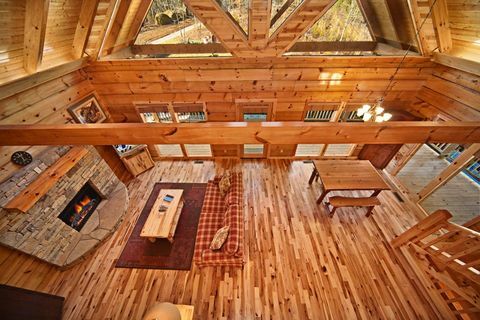 Imagine the entire group gathered around the stone hearth as it casts a warm glow. 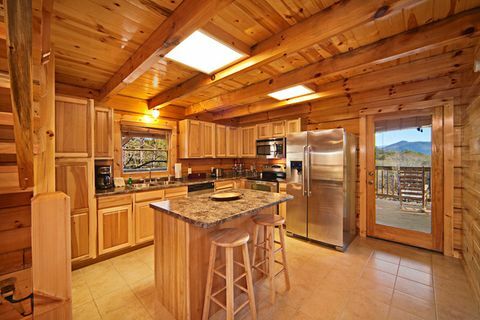 The well-equipped kitchen with plenty of counter space and stainless steel appliances gives the chef of the group a space to make meals everyone will enjoy while gathered at the custom log dining table. 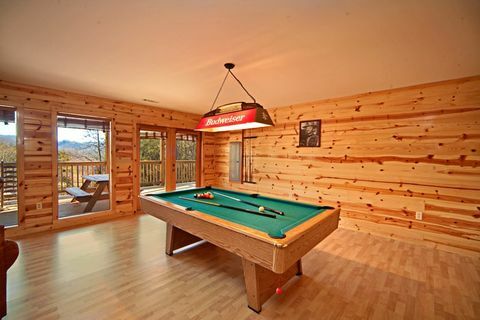 Following dinner, guests can sit back and watch a movie in the living room or downstairs game room, head outdoors to enjoy the mountain scenery from the hot tub, or challenge a friend to a few rounds of pool. 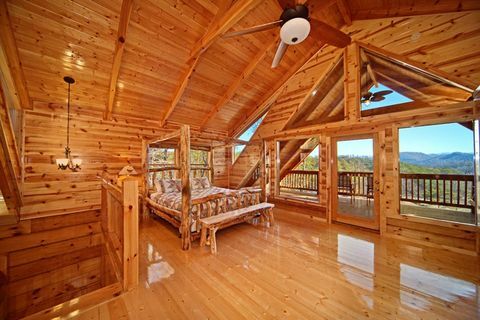 When it's time to turn in for the night at your cabin in Pigeon Forge, "Apache Sunset" offers an opulent private king suite located on the top floor. 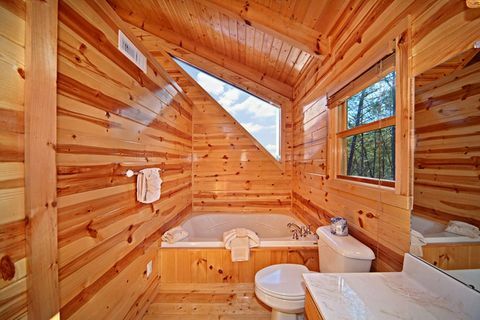 This comfortable room features a jacuzzi tub and its own deck complete with a swing and rocking chairs. 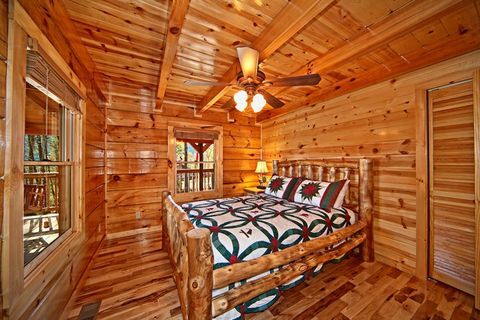 The cabin's additional 2 bedrooms feature another king bed and queen bed, giving everyone plenty of comfortable sleeping space. 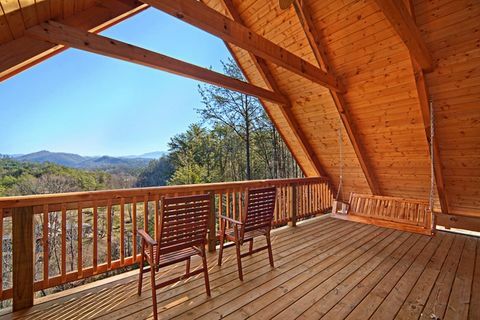 Looking for "cabin rentals in Gatlinburg" online? 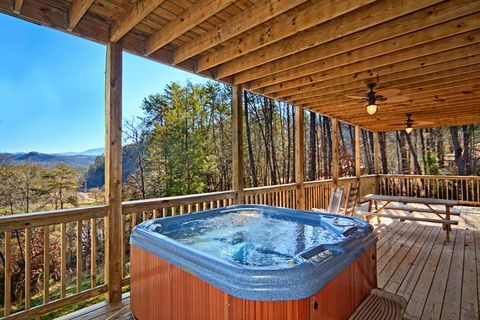 This 3-bedroom cabin near Gatlinburg gives you everything needed for a comfortable stay in the Smokies! 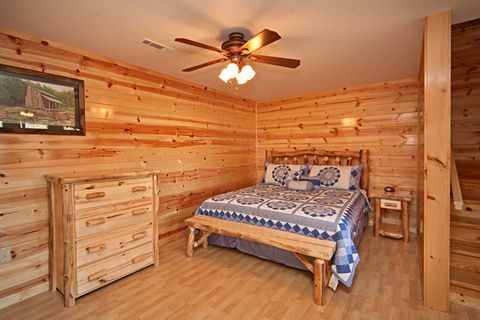 Book online for a 15% discount!